I'm looking for a nice Enya 09 RC 1V. 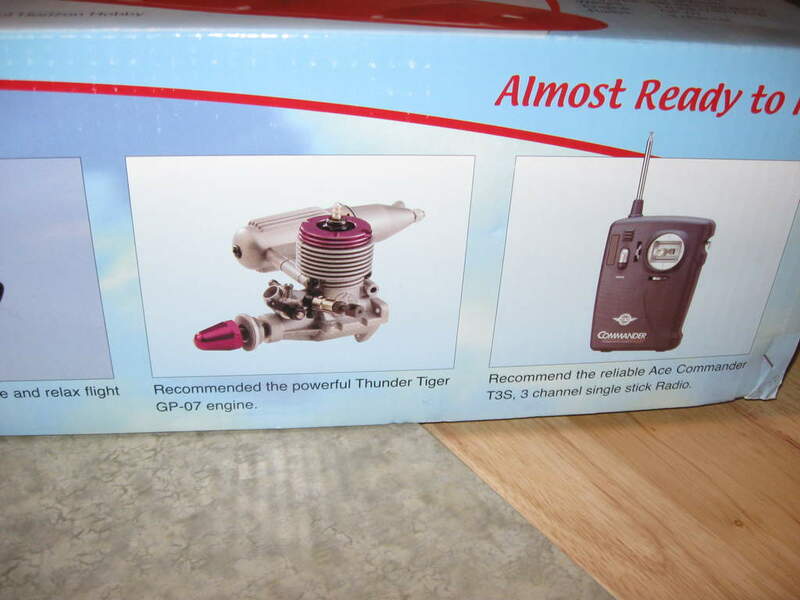 The plane I won as a prize at Ponty last year came with the Thunder Tiger GP-07 RC which is a little jewel of a motor - looks good, quiet, throttles well, and is amazingly frugal on fuel. You might consider that one too, unless you have a special reason for wanting the Enya. It was a little tight at first and difficult to flick start (I didn't resort to electric start though). After a few running in flights it now starts easily. Unlike most small glow engines it seems to like being kept fairly 'dry' for starting - if you prime it with fuel you have to keep flicking away with no sign of life whatsoever until all the prime fuel has been dissipated. That looks like a single ball bearing crankshaft version as it has the red prop driver. Has it got a 'B' stamped on the front face of the front housing? I've got 8(or is it more) of these little gems. From an 09II through 09 III, 09 IV mk1 and mk2, single ball bearing and even a car version. They have good pulling power, the 09III was tested on a 9X4 and recorded 8,400rpm. Unforunately for Stew I don't want to sell any at the moment. You could try 'Steve Webb Models' or 'shtterman' on ebay for new items, although they will cost! Yes, it has got BB stamped on the front housing. I only have the one so I didn't know that they don't all have that! Not a lot of those about. There's one on the bay, but it'll cost you £65, it's just what you're looking for except its an 09III and not an 09IV.